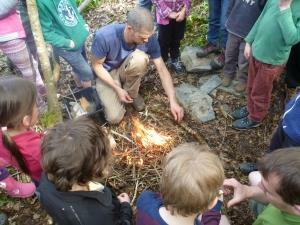 Our bushcraft sessions are designed to give you the essential skills required for outdoor living. You will learn to understand the environment and the resources around us. We'll also look at woodland crafts such as making tinder boxes, wood knife & spoon making, fire tripods and more...! !